There's a Crook in my house! 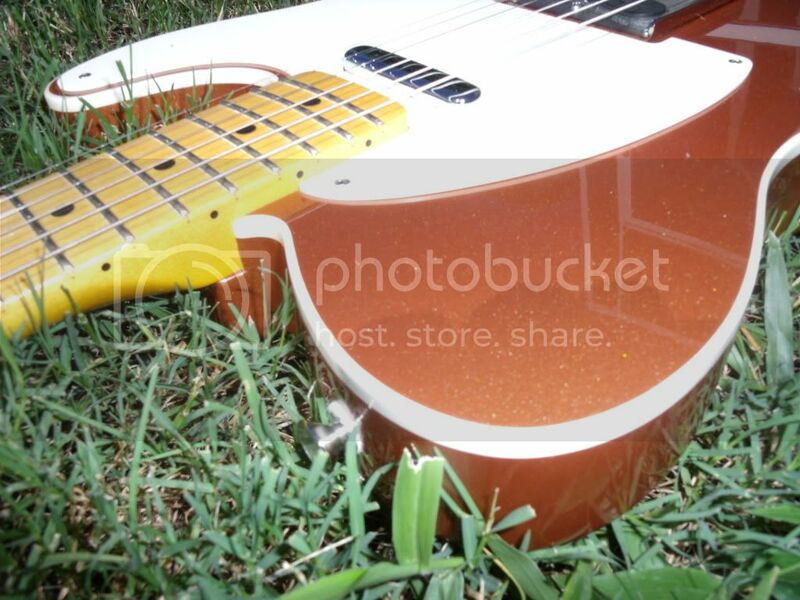 Discussion in 'The Small Company Luthiers' started by wrxplayer, Feb 6, 2012. I really love a chunky neck and vintage tele feel and tone. 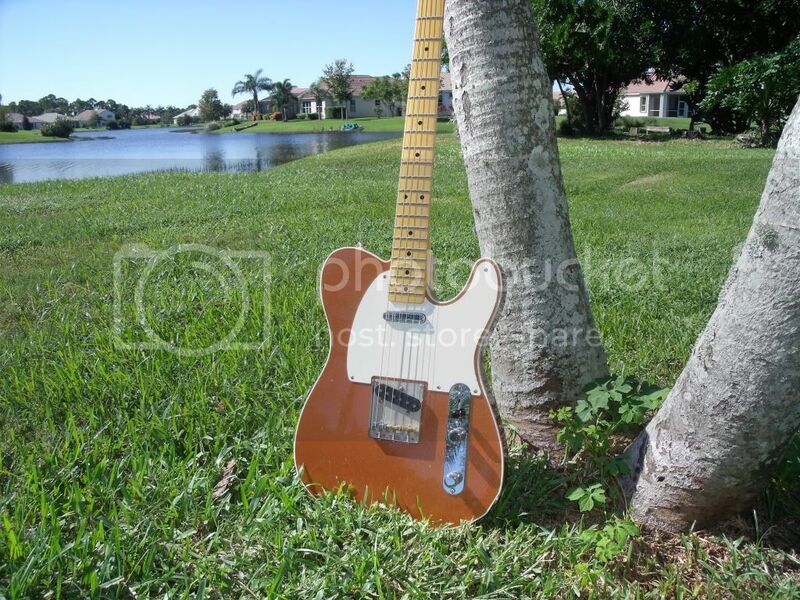 Had a chance to trade for the guitar pictured below, took the plunge, and am quite pleased. God willing, it and my CP Thornton Fusion will remain my mainstays for years to come. I'm partial to copper and sparkle, so that's the best-looking Crook I've seen to date. Enjoy! Very cool...I love Bill's creations!! That's purdy. I was expecting a paisley. the only time something "bad" (crook) sounded so good! that is a beauty! i love the finish and the specs. It really plays nicely. I'm very pleased. 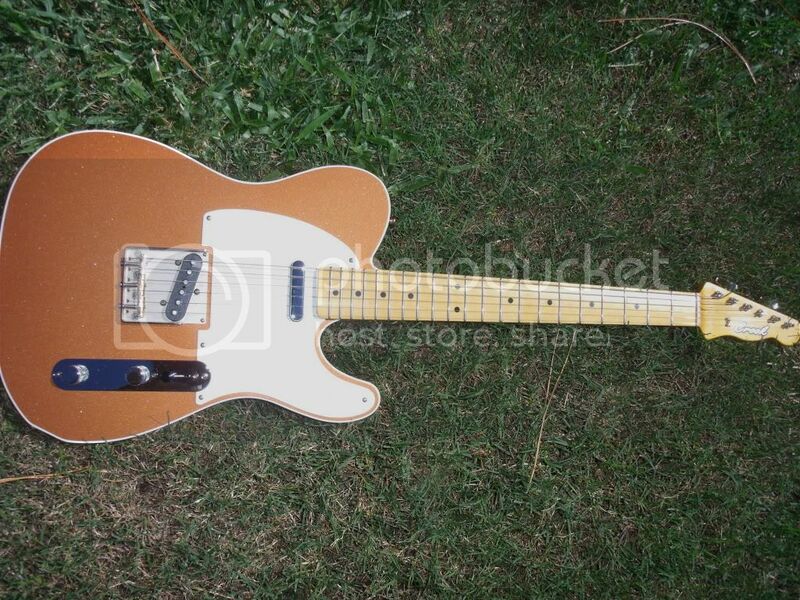 I got to test drive this one before it left the shop & it's one great guitar & a real looker. If paisley is not your thing Bill can do amazing finishes, This is just one of the many I've got to see first hand and they just keep getting better & better! Now go make that thing sing! Isn't there a law against one person not named Brad owning seven Bill Crook custom guitars? If paisley is not your thing Bill can do amazing finishes, ...they just keep getting better & better! +1... Bill Crook's creations are beautiful and wonderful! I've been itching to order another one. Oh, There probably is in some states but us WV's are pretty easy going. I count myself very lucky indeed. Crap! I almost bought that guitar twice now and lost out on it both times! This is shaping up to be a friendly Dual! Two is always better than one. Congratulations! Bill Crook told me my Silver Sparkle Esquire is about a March 1st delivery. Looking forward to it. I am sure you will see it before me. Play it if you want.